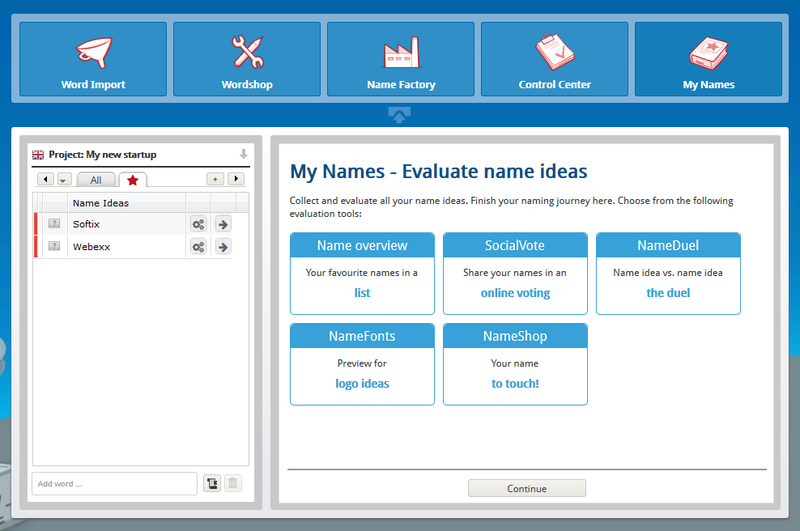 This is where you can save your favorites from the various ideas produced by the NameRobot tools and evaluate them further. No matter where you are in your naming process, you can always drag and drop words that you want to keep in mind into your My Names list. Also, special words which you mark with a star automatically go onto this favourites list. You can then export these names to your computer whenever you want to. All collected words and names are saved and will be available to you for reviewing and editing even after your log-out or after a premium membership has expired. Try out My Names right now! Simply register now and start finding your perfect name!